Python is a free, open source, easy-to-use software tool that offers a significant alternative to proprietary packages such as MATLAB and Mathematica. 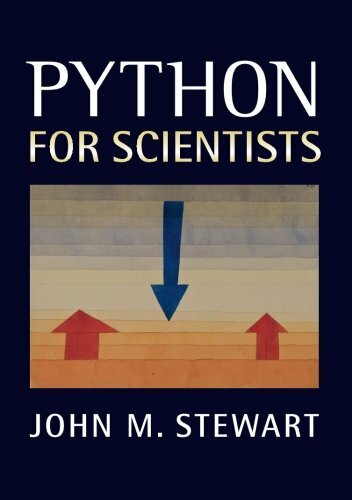 This book covers everything the working scientist needs to know to start using Python effectively. The author explains scientific Python from scratch, showing how easy it is to implement and test non-trivial mathematical algorithms and guiding the reader through the many freely available add-on modules. A range of examples, relevant to many different fields, illustrate the program's capabilities. In particular, readers are shown how to use pre-existing legacy code (usually in Fortran77) within the Python environment, thus avoiding the need to master the original code. Instead of exercises the book contains useful snippets of tested code which the reader can adapt to handle problems in their own field, allowing students and researchers with little computer expertise to get up and running as soon as possible.